Welcome once again to another fabulous Compendium of Curiosities III Challenge. We're already on the 19th challenge in the series, and it's called "Frayed Fabric." It can be found on page 66 in the Compendium of Curiosities III book by non-other than Tim Holtz. 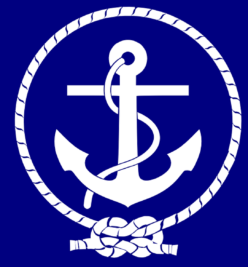 You can find the current challenge on our lovely host, Linda Ledbetter's, blog and join in the fun. There are prizes to be won and inspiration to be had. You can read all the details at the end of my post today. Okay, let's get started. Usually I post a full tutorial on every project I submit in these challenges, however since I'll be teaching this one as a class I must refrain. It's a pretty straightforward deal though, as you'll see. My project is an 8" x 8" display frame with a sewing theme. Lots of Tim goodies on this one, plus some nice finds from my local craft store too. Here's a close-up look at the featured technique before I adhered it into my frame. I used the Eclectic Elements fabric by Tim Holtz called French Script. I followed Tim's technique and then inked the frayed edges with Gathered Twigs Distress Ink. I added another frayed fabric element with this heart. The cute brass hanger is from Joann's. Baubles, a hanger, heart charm, and a clear fragment serve as nice embellishments with my sewing theme. The brass spools I found at Michael's. I mixed together some of Tim's buttons with some random vintage-style ones in my stash. I recently purchased the Sewing Edge die while Sizzix had a holiday clearance. I've always wanted it, and took advantage of the sale. Ruler ribbon works perfectly with the theme, don't you think? The bingo piece has been colored with a black Sharpie marker. This photo makes the dress form appear slightly purple, but I assure you it's not. I did Tim's Shabby Chic technique from his Creative Chemistry 102 online course. It's more of an off-white and black combination. (Must be my lighting making it look purplish.) I used the Distressed Doily die behind the dress form with ink-distressed edges. Here's another look at my finished project. It was so much fun to make, and I might even add some flowers to the frame. It's hard to stop. I can't wait to see what YOU create with this challenge! I would LOVE to take this class with you, Annette! Love all of the "little" things that you do to make a project complete. Annette...adorable project! Your class will love making this. Your frayed fabric background and added heart are beautifully done! Great job and illustration of Tim's frayed fabric technique. Wow, you've incoporated so many different elements and done it so beautifully. My mom and sister both love to sew. I would love to makes something like this for their sewing rooms. Beautiful! What a beautiful project! Love the 'hope' heart and that beautifully textured dress form. This class is sure to be a hit, Annette! I love the sewing theme to go along with the Frayed Fabric technique! The zig zag stitch is so nicely done and the embellishments are a wow! What a great project using Tim's fabrics - so many fun sewing theme items to look at here! Oh I envy your students making one of these Annette, it is beautiful. I love the frayed heart and also the little heart charm and the buttons are such a lovely finishing touch. Gorgeous! 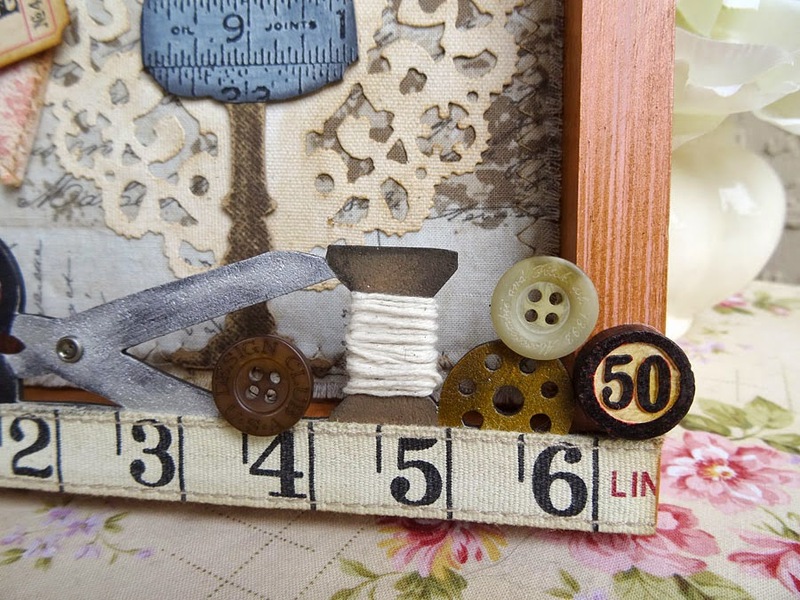 I love the sweet details you have added to this adorable little vintage shadowboz of lady's sewing room. Well done! A sewing themed project on a fabric challenge? Darn!! Why didn't I think of that!! This is crazy cute, Annette, I love every detail. Your students will LOVE your class. What a great subject for a class! And I agree... Asewing theme for a fabric challenge is perfect! I love the sewing theme. So many embellishments. Really love the scissors edge die. Your students will really enjoy the class. Ohhh, so pretty and I love the sewing theme! What a cool idea to put it in a frame. I would add the flowers, but then I'm of the mind that MORE IS MORE!!! Nice work! This is a beautiful 8x8 framed box full of goodies! I love your work. 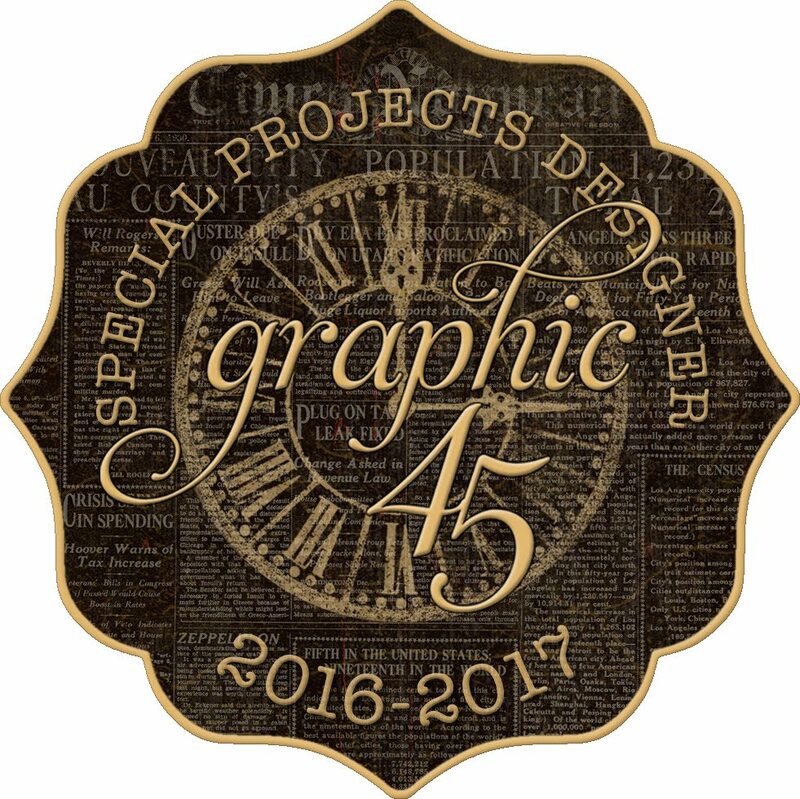 You really do such a beautiful job on all your projects! What a great piece! Love all your details. 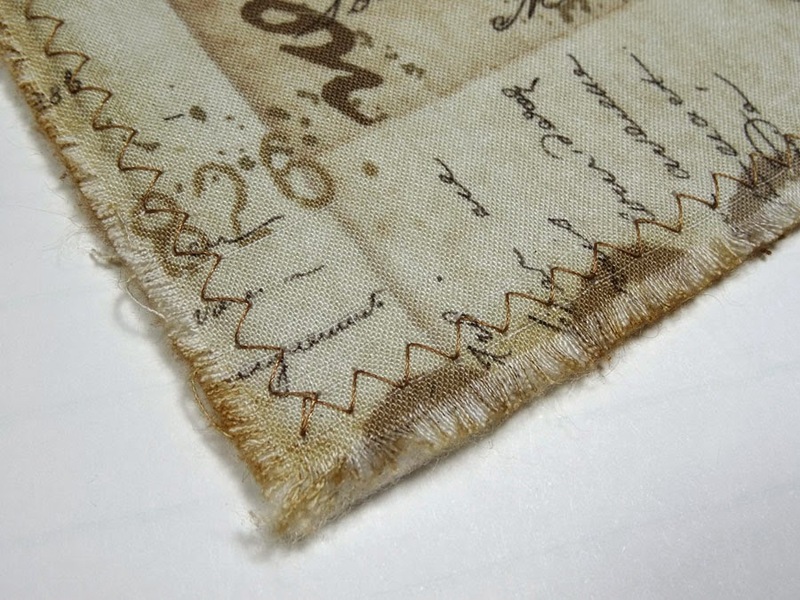 What a beautiful piece; love the theme you used and your frayed work is beautiful; love those eclectic elements! 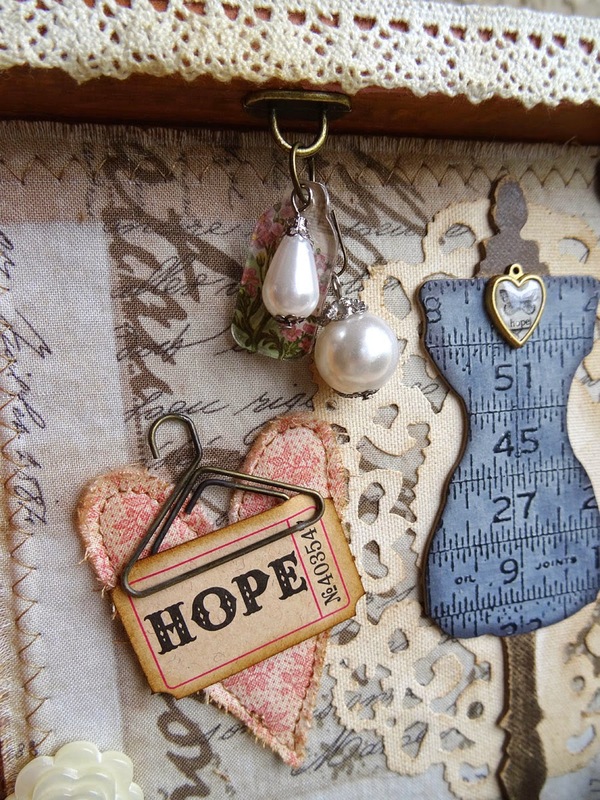 Every detail is amazing ... especially like the frayed heart; and how you hung the Hope tag! Love all the Tim toys ... I think I have all you used... they are so fun !! That heart makes me so happy! LOVE your shadow box and all the goods in it...awesome technique usage too! Annette your shadowbox turned out beautiful. Love all the elements! What a delightful little shadow box! What a fun shadow box. The lace doily really makes the Dress form stand out and love the heart pendant and all of the lovely details. Oh my Annette! What a fantastic project! Love the sewing theme! The textured dressform looks amazing and I love the little fabric heart! Thanks for the inspiration! 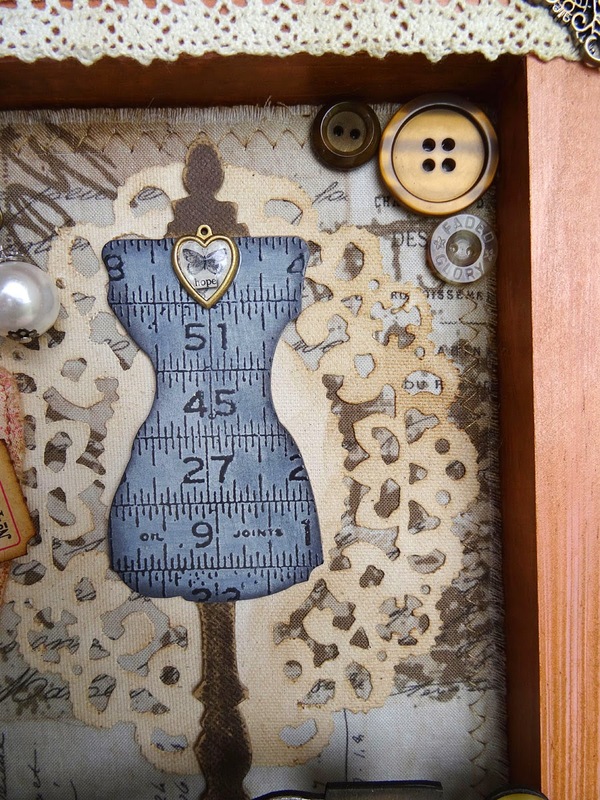 Such a quaint sewing room shadow box Annette. I love all the detail, from the bobbins and buttons to the coat hanger. Beautiful piece and I am sure a fun class! I love the vintagey feel you produced! 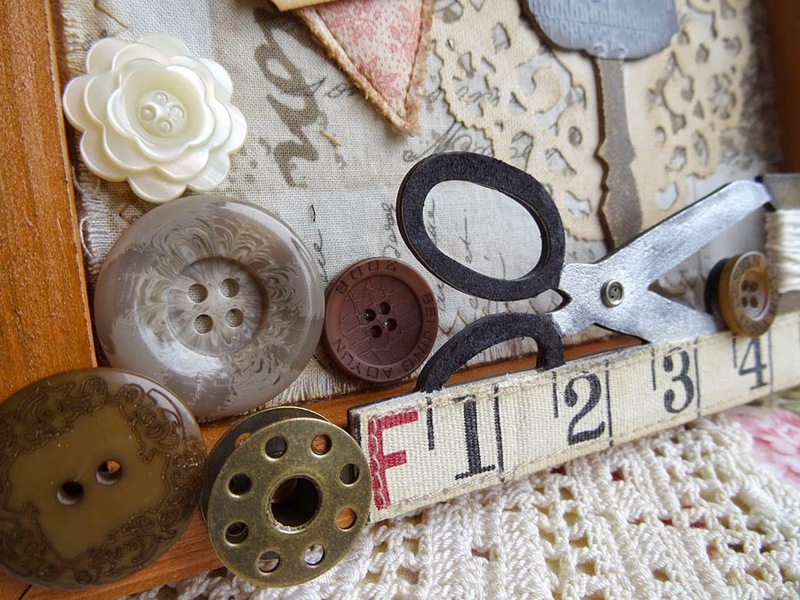 The brass bobbin mixes so well with the buttons, and the frayed fabric and ribbons set everything off so nicely. An absolutely stunning project Annette, a work of art! Very inspirational. This is so cool. There are so many elements to it that make it beautiful. What an awesome class !! This is a lovely little keepsake, so detailed I love looking at this. Your project is adorable. It's like peeking through the window of a seamstress shop! Beautiful! Thanks for sharing your CHA photo's. 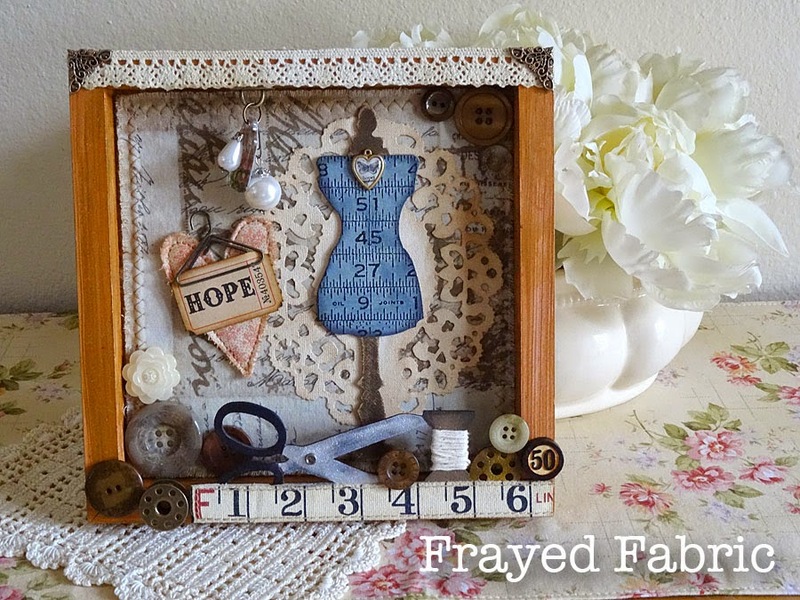 If you are doing a project with fabric then a sewing themed shadow box is ideal. Gorgeous ! Oh girly I love this project...so flipping cute...and I love all the little components! Great use of the frayed fabric! LOVE it!!! hehehe. I love the way your projects come together Annette! This is wonderful!! So pretty!!! I love my sewing room die, and this would be a cute idea for a small gift. 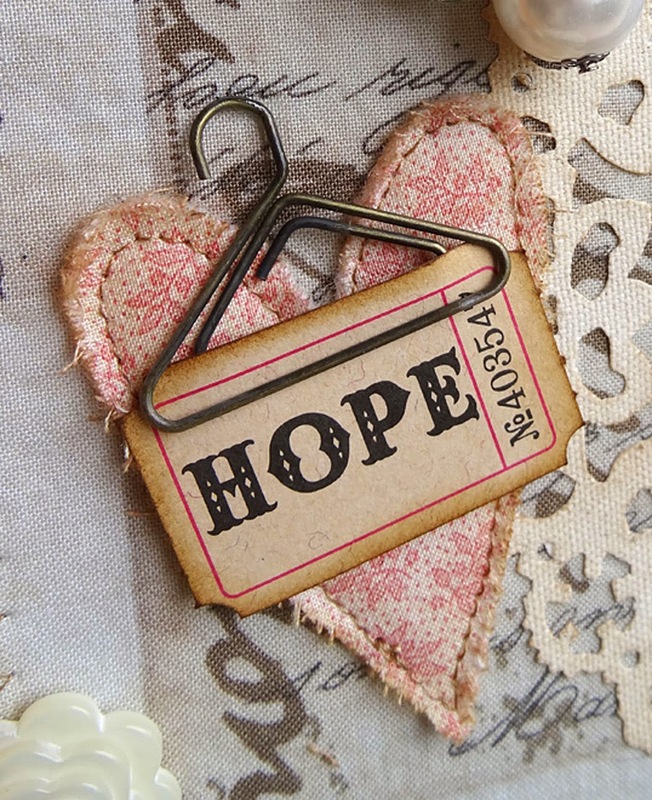 Love how you put the hanger onto the heart w the extra msg as HOPE! Such a vintage looking scene and such a creative way to use that die! Love the heart and all the sewing trinkets! It inspired me to sew my project. I especially love how the shabby chic technique looks on the dress form. Such pretty colors too! The class participants will have fun! Love it!!! Great job! Where in the world did you get all those perfect findings? 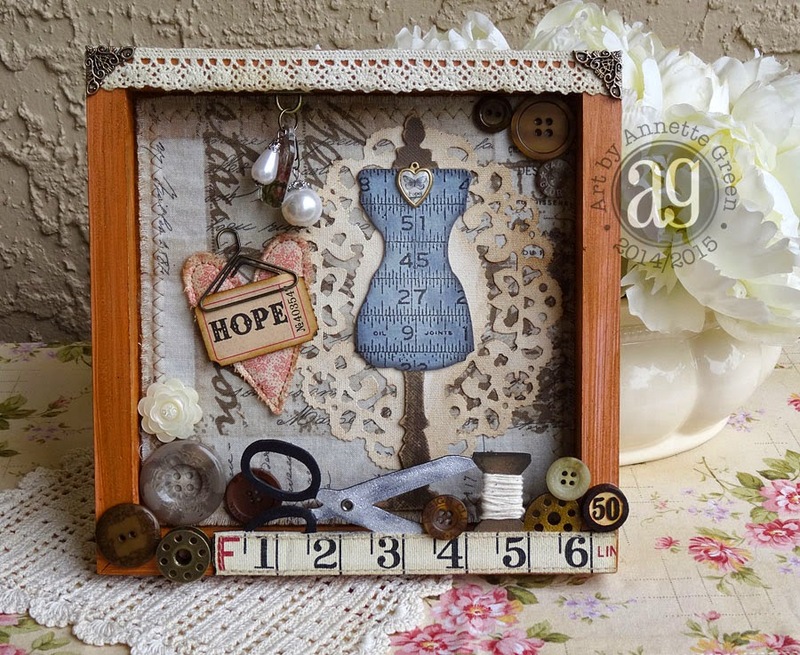 Annette, your sewing themed frame is beautiful! Your students are going to love it! I'll Be Crafting At The Nest, Will You?